The Hummingbird Vine with Poem Wood Cremation Urn is a quality wood urn made of select grade red alder and red oak with a clear finish. The flowered vine border is accented with a hovering hummingbird and separates the poem from the personalized engraving. The urn can be personalized with the name, birth and passing dates, and a short endearment such as Beloved Wife and Mother. The poem shown is Losing You. 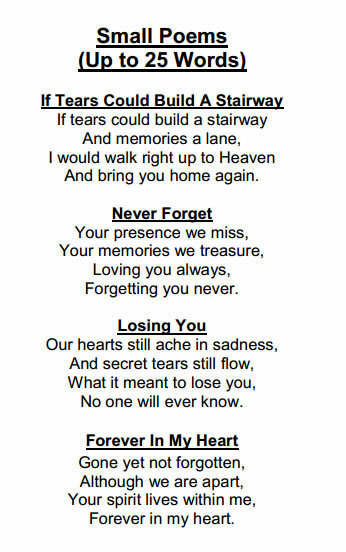 Please click on the Detailed Images to view other poems available.